Trout Gulch Vineyards is tucked away in the Santa Cruz Mountains above the seaside village of Aptos. Since our inception in 1987 we have been committed to the noble Burgundian varietals: Pinot Noir & Chardonnay. The cool coastal climate of the Monterey Bay provides the opportunity to select vineyards that are perfectly suited for truly CLASSIC Pinot Noir and Chardonnay. We are dedicated to farming the finest, highest quality fruit because - GREAT wine begins in the vineyard. The subtle combination of sun, soil, water and cool coastal air lends to producing grapes that mature slowly. The vines are tended with exacting care. Wines of depth and character come from grapes with the same pedigree. Our Pinot Noir and Chardonnay embodies the true character of the mountains, time in a bottle. Trout Gulch wines have been made at Barry Jackson's Equinox Winery on the West Side of Santa Cruz since the 2006 vintage. I'm now semi-retired and moved to Calistoga in 2016 after living in Santa Cruz 31 years. Committed to establishing and promoting the American wine/food culture! 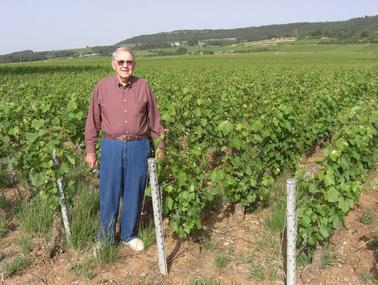 "The best wines, like the best people, come from the hills"
Bernard Turgeon passed away on April 13, 2012. He was 88 years old and lived a full life. He was a loving husband, a caring father, a dedicated farmer and winemaker, a decorated veteran of WWII, a multi-talented builder, a successful businessman, a gentleman in all respects that loved life and lived it to the fullest. He was an honest man and his handshake sealed the deal. His generosity is his legacy. He was one of the disappearing Greatest Generation. He created Trout Gulch Vineyards as well as Turgeon & Lohr Vineyards, J. Lohr Winery, Santa Cruz Brewing Company & The Front Street Pub. His accomplishments and successes were many. He was my mentor and my hero. I am fortunate to have been his son and I will miss him until we're reunited someday . . .
We've always believed that a small spark of benevolence ignites many charitable acts of kindness. We've jumped at opportunities to help whenever possible. Over the years Trout Gulch has stepped up to the table in many ways to serve organizations, agencies, groups and individuals that help to ensure a culturally diverse and dynamic community. Among them are: Save Our Shores, O'Neil Sea Odyssey, Homeless Services Center, Habitat for Humanity, Boys and Girls Club, Hospice of Santa Cruz County, Second Harvest Food Bank, Cabrillo College Foundation, Cabrillo College Culinary Arts & Hospitality Management, Omega Nu of Santa Cruz, Santa Cruz Aids Project, Cinequest, Gateway School, Good Shepherd School, San Augustin Church, Above the Line - Homes for Kids, Rotacare Bay Area, Coastal Watershed Council, Monterey Trout and Salmon Project, United Veterans Council, Walnut Women's Center, Santa Cruz Symphony, Women's Crisis Support - Defensa de Mujeres, Community Bridges, TLC Holistic Health Foundation, Sister Cities Santa Cruz, Kuumbwa Jazz Foundation, Girl Scouts of the Central Coast, Pacific Collegiate School, Survivors Healing Center, Dominican Hospital Foundation, Mar Vista Elementary School, Camp Opportunity, The Literacy Program, Davenport Resource Service Center, Santa Cruz Police Officer's Memorial Fund, Bay View Elementary School, Harbor High - Field Lights, C.A.S.A., Monterey Bay Youth Outdoor Day, Santa Cruz Rotary Endowment, Santa Cruz Rotary Foundation, Rotary International Foundation, Sutter Health Philanthropy Society, Vista Center for the Blind and Visually Impaired, Santa Cruz Association of Realtors Housing Foundation, Helping Hands Senior Home Repair Program, Monterey Bay Marine Sanctuary Center, Santa Cruz High Cardinal Club Football, Healthy Kids Santa Cruz County, Health Improvement Partnership of Santa Cruz County, Harbor High Interact, Santa Cruz High Interact, SJSU Alumni Association, St. Francis Catholic Kitchen, Santa Cruz Sentinel Triathlon, Los Gatos High School Millennium Foundation, Achieve Kids . 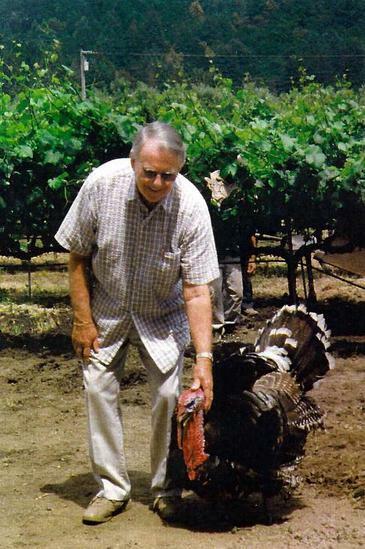 . .
My father, Bernard Turgeon, got me into the wine biz in the early 1970's when he and partner Jerry Lohr planted 280 acres of vineyards in Greenfield, Monterey County in what is now the Arroyo Seco AVA. They soon established Turgeon & Lohr Winery at 1000 Lenzen Street, San Jose.